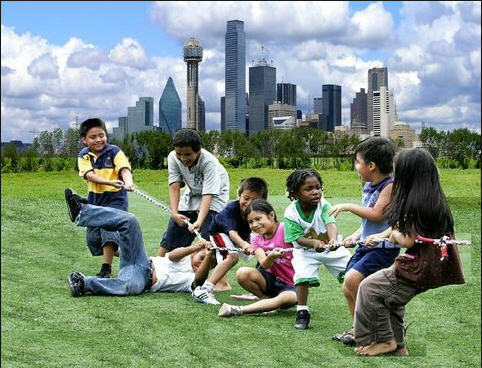 Dallas (or DFW – Dallas/Fort Worth as its most commonly known) is actually a group of several large & small cities and towns that make up one of the most diverse areas of Texas. Fort Worth started out as a railroad and cattle town and still retains much of the ‘cowboy’ culture today. 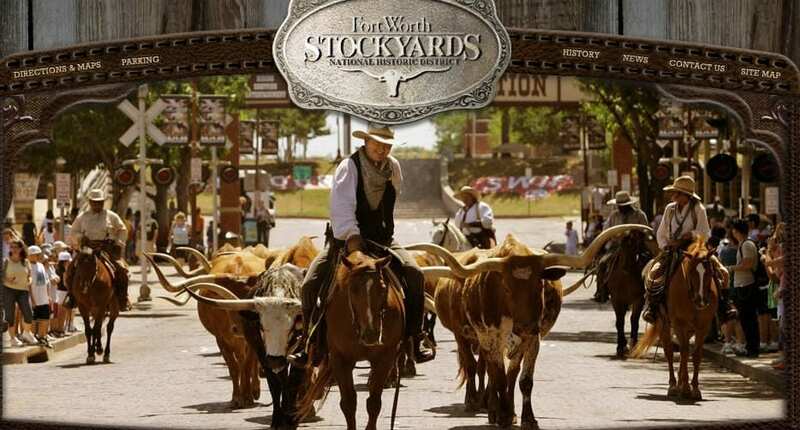 In addition to its zoo and arboretum, the Fort Worth Stockyards and rodeo are major tourism draws and a great way to spend a day or weekend. This is where you will find the “wild west”. Dallas, or the “Big D” is home to some of the best shopping, dining, arts, culture and history in the state. You can spend an afternoon with your host family at the Perot Museum where they feature activities for children, teens and families or enjoy a weekend at the Dallas Zoo. The Dallas Arboretum is a dream in the spring where you can take a picnic and enjoy live music amongst the thousands of tulips. Dallas also has several farmers markets, museums, and sculpture gardens so there is never a shortage of things to do! If shopping is your thing, there are several malls and outlet malls as well as vintage shops and craft festivals. Weekends in and around DFW are always filled with options. In the spring, there are farmers markets, baseball (both professional and minor league), art festivals, a St. Patrick’s Day Parade on Greenville Ave, food and wine festivals (Greek Fest, Taste of Addison, Chocolate Festival, and much more). 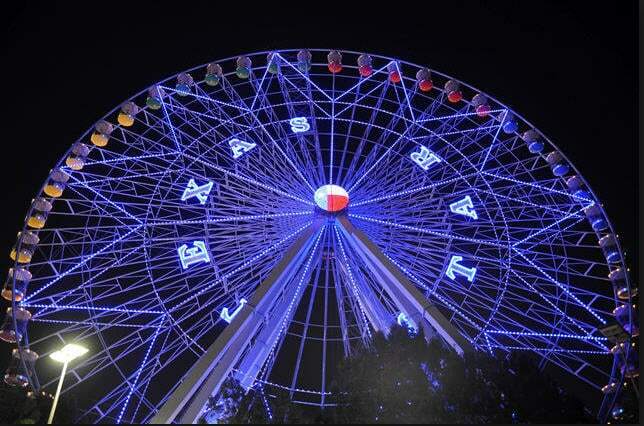 In the summer there are several water parks, lakes, Six Flags of Texas, and tons of shopping. 4th of July offers KaBoomtown in Addison, and fireworks in almost every town! In the fall and winter, you can’t miss Oktoberfest in Addison, the Balloon Festival in Plano, train rides in Grapevine, Texas football games, or countless other activities. Dallas is a 4 hour drive from Austin or San Antonio, and 6-7 hours to Houston, so weekend trips are a must! Austin has a great music and art scene and is our state capital. San Antonio is home of the Alamo, and the world famous Riverwalk, and Houston is close to Galveston, the beach, NASA and Moody Gardens nature museum. Complete your application today, so we can match you with our friendly Dallas/Ft Worth host families! forward to be your au pair. Thank you and God Bless You! Hi i have worked as a house keeper half of my life, and enjoyed it a lot. iam interested in this job but don’t have air fair to come,do you guys pay for air fairs? im 34 and live in south africa. The US visa program requires you to be between the ages of 18 and 26. There are no housekeeping visa programs in any country in the world. However, if you are interested in working in Canada, you can do childcare or senior care for Canadian families and they will pay your travel costs. Hi I am from the Uk, I am currently a police community support officer/ fitness instructor/ hairdresser. I am 44 and would LOVE to come and work for you. I may be older but with that I have life experience/ trustworthy/ reliable/friendly / happy and have great communication skills. Please register at GreatAuPair https://www.greataupair.com/register/ so our families can see the type of work you are willing to do. You cannot find a job through our blog, you’ll need to create a profile on the GreatAuPair website. Signing up is free. There are some limits to where you can work as a 44 year old, but you can look for jobs in any EU country. Hello this is Ron I am currently a care provider and I found this web site. This site has provided some great information.